An extraordinary collection of eighty pictures from the Alinari Archives located in Florence, Italy makes up a never-before-published sequence of images including portraits, landscapes, and rituals providing a rare entry into traditional 19th-century Japan. 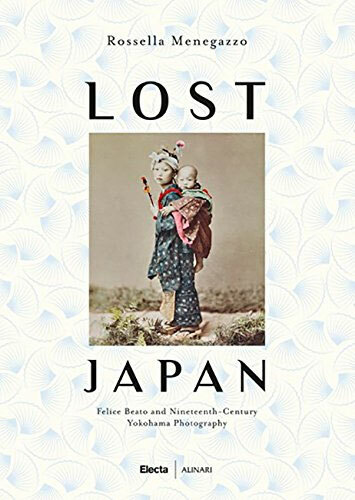 Felice Beato was one of the first Western photographers to enter Japan when the country first opened its borders (1853); he revealed to the Western world a country preserved in time and never seen before. 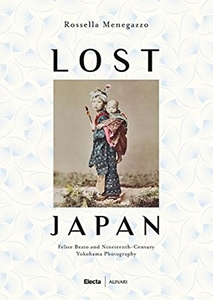 In 1863 he moved to Yokohama and opened a photography school, the School of Yokohama. The photos of the book preserve the original photographic prints, manually coloured black-and-white prints, that truly embody the spirit of that period. Images feature fascinating portraits of women in kimonos, geishas, samurai warriors, and interiors of Japanese homes and gardens as well as scenes of everyday life including tea ceremonies or the theater. Each photo is accompanied by text providing historical, anthropological, and artistic context. This is a charming volume which comes with a Japanese-inspired design, with decorative patterns and colours recalling Japanese paper tradition and kimono fashion.